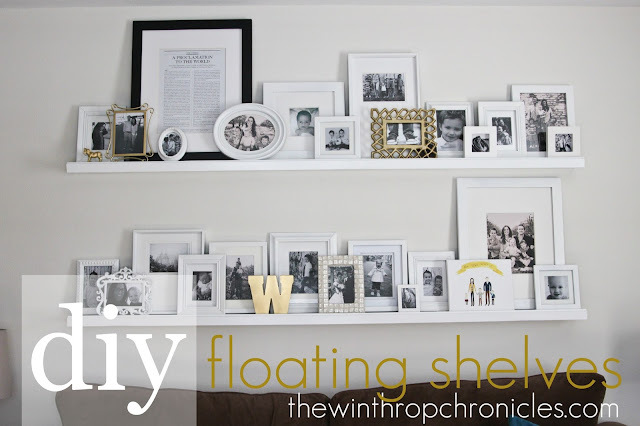 You know, basic little things that we should keep in mind when we are putting a room together. If you haven’t see it you can take a tour here. Last week’s link party showed me however that I am not the only one ready to bring brightness and a fresh new look to my home. There were some amazing and inspiring DIY tutorials that I didn’t want to miss and I thought that you guys would love them. 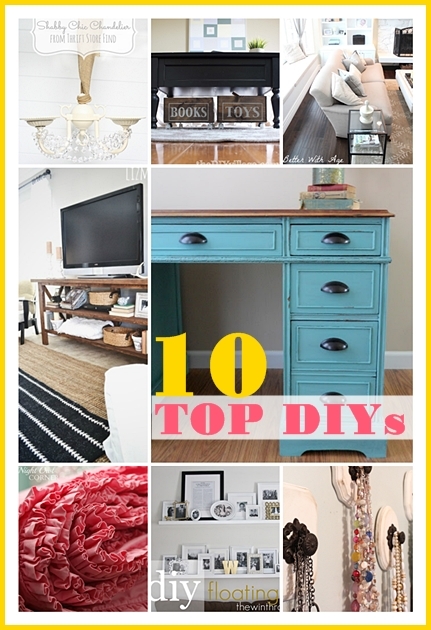 So, I am featuring today the Top 10 DIY Home Projects from last week’s link party. I love these Rolling Storage from Up-cycled Wine Crates @ The DIY Village. 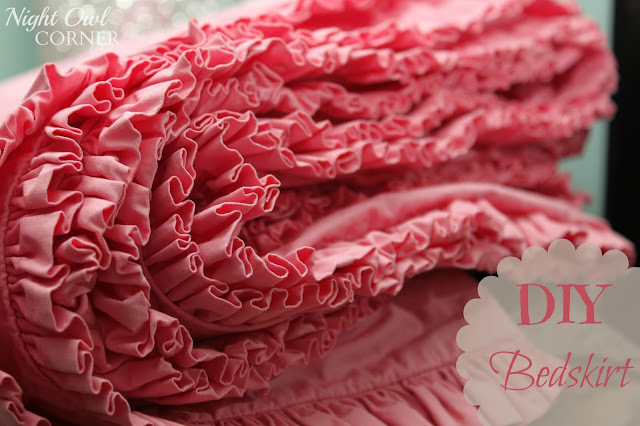 This DIY DIY Headboard @ The Crafted Sparrow is amazing! 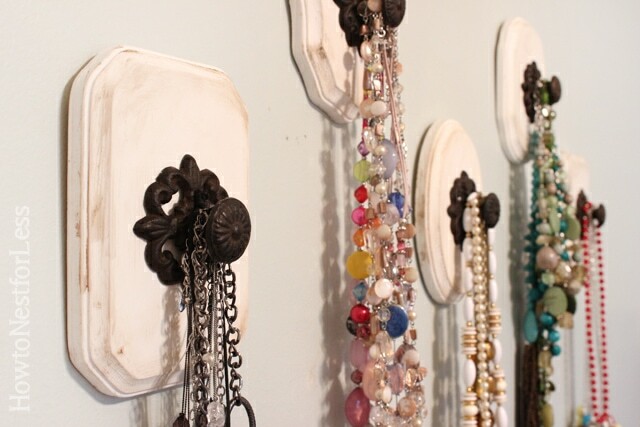 Get your jewelry organized with the help of these DIY Knob Necklace Holders @ How to nest for less. Give your furniture a complete new look with a fun color. 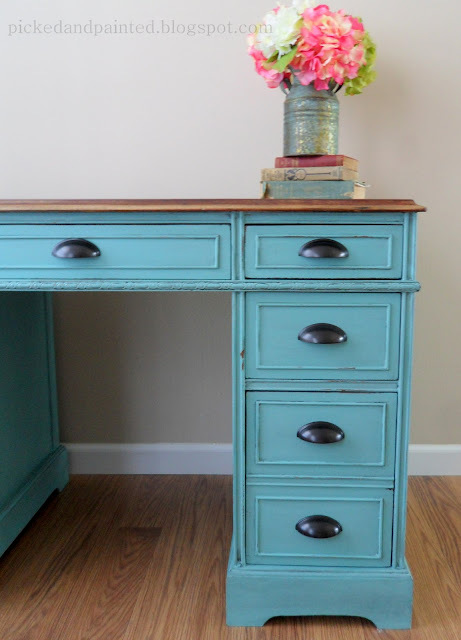 I love this blue desk @ Picked and painted. 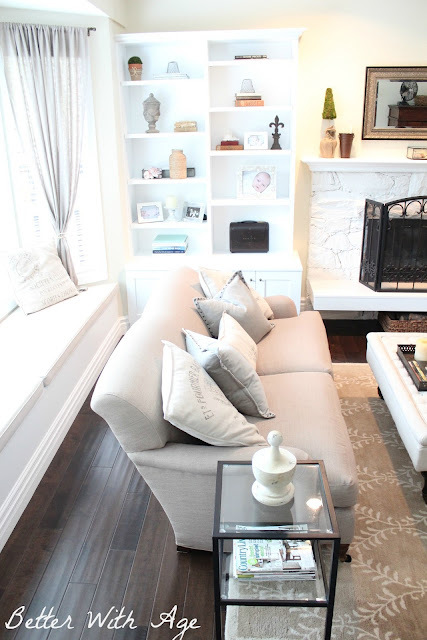 If you love neutrals you must visit Better with Age and check out her living room makeover. 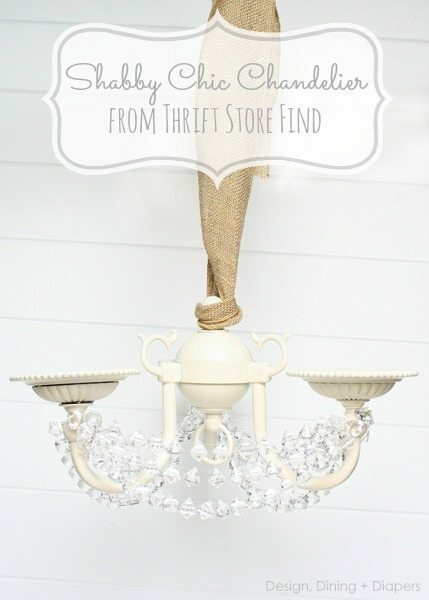 Shabby Chick Chandelier makeover @ Design, Dining + Diapers. 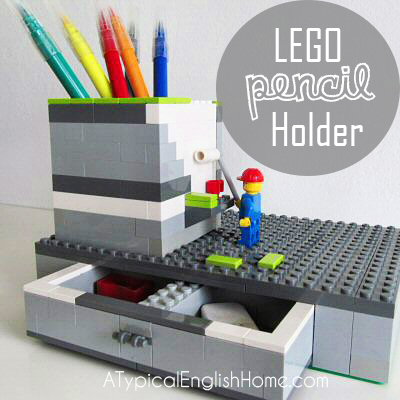 Lego Pencil Holder @ A typical English Home. Perfect for a boys room! I love all of these projects! link back to The 36th AVENUE or button UP here! I hope you stay in touch and follow on Facebook and Twitter! I can’t wait to see what you come up with this week. Thanks for featuring my living room, Desiree! And thanks for hosting 😉 I love your parties. Thanks so much for the party Desiree! Hope you’re having a great week! Thank you for this fab party. The features are so perfect….! I am in LOVE with your bathroom! I think I already told you on insta! But you deserve to hear it again! 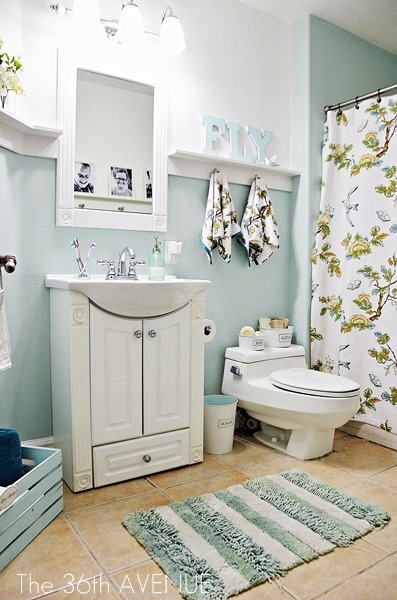 OMGosh love your bathroom makeover! !